Building further on the insights of child development, there is another fundamental leadership characteristic that one will never learn at Harvard, but only in the day-to-day family-life: it is the importance of setting boundaries. But first you need to know more about the concept of “matrix”. Two weeks ago I argued that parenting is an excellent leadership crash course because we learn the hard way that it is important to trust oneself, to find an emotional balance and to take care of oneself. Last week I added that understanding and accepting the development eb and flow – rather than trying to control it – is the first step towards mastery in terms of parenting and leadership. 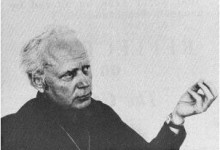 Joseph Chilton Pearce introduced the concept of matrix. According to him, our lifelong development is a series of matrices through which we move. Life begins with three critical matrix periods: the nine months in the womb-matrix, the next nine months in the “in-mother’s-arms”-matrix; and the ninth to eighteenth month “toddler period.” The quality, character, and nature of the first two matrices are determined by the mother, and the third by family and cultural influences. A matrix is a safe place that provides the energy and the possibilities to discover the next matrix, and if the growing child is provided a corresponding matrix at each stage of development, it will develop, learn, grow and expand. In the safe-space of a true matrix a child can use all its life energy for the subjects at hand, easily absorbing and learning that which is appropriate to his or her age. But if there is no assurance of safety, the child must use a good portion of its energy in defense mechanisms, which divides the mind, splits attention. So first and foremost, parenting aims at providing children with a safe space where they know they belong and are welcomed, wanted, and safe—the ideal learning situation. 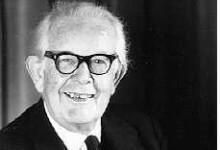 The concept of matrix is based on the insights of Jean Piaget – who is generally regarded as the father of child-psychology. Piaget was the first to discover that during each new stage of development, the child’s brain-mind is prepared for the new potentials appropriate to that stage of growth. If appropriate models for those potentials are given in a safe space, learning is automatic, spontaneous and natural. 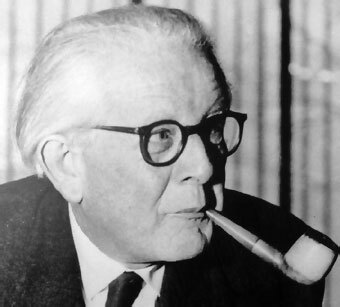 Jean Piaget underscored the importance of development in education systems, i.e. : not to teach people what we already know, but rather to enable people to learn and discover new things. Now isn’t that the main responsibility of a leader; providing a safe place for their team so they can use all their energy for the tasks at hand and the possibilities for absorbing and learning that which is appropriate to the goals of the team? In my opinion, there is no better school for leaders to learn about building a matrix for their team, than being involved in the life unfolding at home. OK – now how do we build a matrix in practice for our family and our team? This is the challenge of setting responsible boundaries. Children need firm and just boundaries. Within those boundaries they need the caring love and attention from us as their parents. This is what allows them to develop self-worth, confidence and self-trust. A child raised without reliable boundaries is a child who will grow up confused, unsure of themselves and their behavior, and often acting out negatively as a desperate attempt to have boundaries set upon them. Setting boundaries is a major test of our maturity level, because it implies setting boundaries to our emotions. As I stated last week, knowing where we stop and someone else starts is the first step towards a healthy emotional relationship: using affection and emotion as a form of punishment or reward in order to control the behavior of our children or team members causes problems in the long run. In growing, children seek to and need to define their limits: the limits of their environment, the definitions of who they are and what they are doing, the limits of their peers and adults. That often shows up as testing and disobedience. That is when we need to reaffirm the boundaries. Again, the same goes for leadership in an organizational setting: your peers and team members will be testing you, the other team members, the goals you are setting, etc… in order to define their limits. It’s natural and we should not take it personal. In fact, good parents and good leaders take this testing behavior as an opportunity to build matrix. We do this by engaging in a conversation in which we reconfirm boundaries, safety and possibilities. The tricky thing here is that we need to be aware that boundaries change over time, as circumstances evolve and people evolve in their behavior with respect to the limits we impose. Also, in our response to unacceptable behavior, we should clarify that it is the behavior we found unacceptable, not the child or the person we are reprimanding. In the business school of parenting there is no escape: we learn the hard way that whenever we set a boundary, it will be tested – that’s just life with kids. In no time, our kids can make us aware of how wishy-washy or unclear our boundaries may be. When we feel threatened and resort to hitting and screaming when the kids test us, or if we feel used and give in when our kids test us, it is time we develop healthy boundaries for ourselves. Having healthy boundaries is not something we do; it’s a way of life. It’s about taking responsibility for our own well-being and safety. It’s knowing that no one else is to blame for our feelings. If we’re frustrated or irritated, angry, sad, lonely, or hurt, it’s up to us to recognize what we need to move through and beyond those feelings: a change of heart, more rest, honest communication, asking someone to change his or her behavior, or perhaps just acknowledging the feeling and letting it be on its way. So once again: we choose our responses to the world and taking care of ourselves is a primary condition for our leadership development and parenting development. I wish I had been a parent during the years I was a managerial leader – I too now see the cross-fertilisation of ideas about motivation, self-control and behavioural change. Since establishing my own family 12 years ago I have been able at least to relate the combination of my experiences in both spheres and to apply them to my leadership development coaching interventions with my clients. One of the challenges, I find, is showing leaders that creating a mutually-trusting environment is not a luxury item, but a basic pre-requisite of employee engagement and organizational health. Thanks for this honest disclosure. The safe-space you are refering to is becoming more and more important as change is becoming the new normal. This is when we observe that the classic command-and-control does not suffice anymore to get things done. As the tides of change get higher and higher we need to rely on increasing levels of trust.